Clean, litter-free parks, streets and neighbourhoods make us all proud to call Edmonton home. 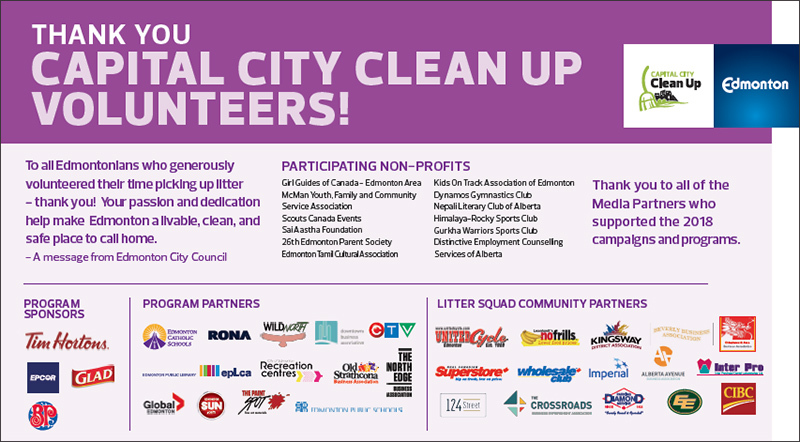 Each year, citizens, community groups and businesses access free litter pick up supplies from Capital City Clean Up (CCCU) to make Edmonton sparkle. Free litter pick up supplies are available from March-September each year, teachers can request supplies for their schools or residents can take the 15 to Clean Challenge to Clean Canada Together! Each spring, Capital City Clean Up (CCCU) kicks off litter clean up for the year. Join us for one of these events to make Edmonton shine! Our events include organized clean up events in the spring, summer and fall. We wish to thank our generous program, media and Business Supporting Community partners for all of their contributions. We would also like to thank all of our participating non-profits and volunteers for all of their hard work this year. Big Bin Events allow residents to dispose of household items too large for regular collection at no charge. 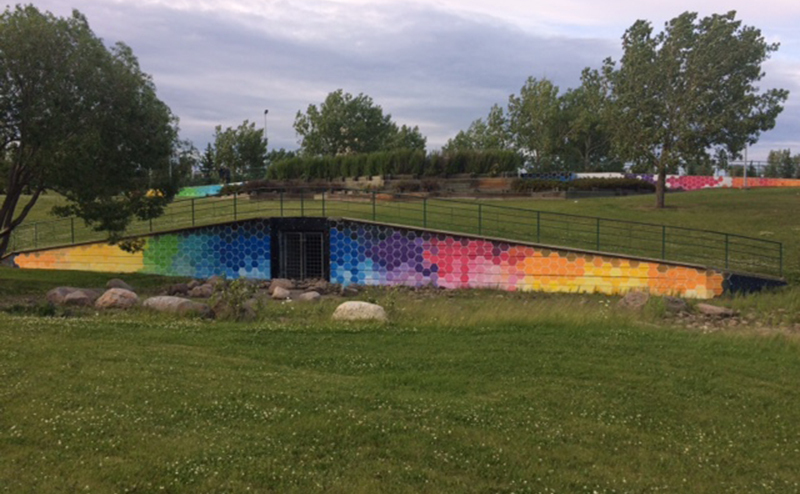 Thank you City of Edmonton Volunteers! - Blog post on Transforming Edmonton.